we offer the best tire for your job. the most out of your equipment. Our JIT production strategy means we are agile. Want to increase your tractive power? Want to reduce ground disturbance? WSD has the right product for you. WSD is ISO 9001 compliant. when it comes to both our products and services. We can address all your wheel system needs. You name it, we have the solution! facility to address your JIT needs. 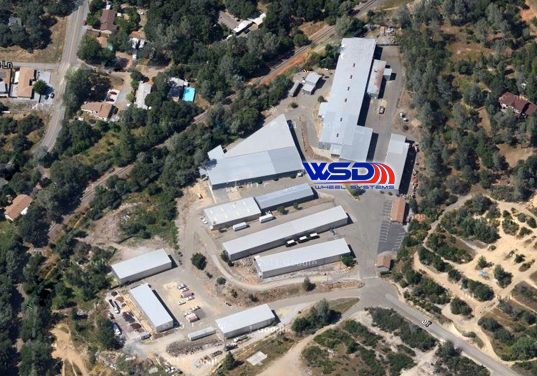 WSD’s growing and uniquely positioned manufacturing facilities allow us to proficiently supply the OEM market. We are the largest wheel manufacturer in the West stocking sizes from 12” through 54” diameters. We support the agricultural, construction, industrial, mining, forestry, lawn and garden, truck and trailer markets. WSD has been serving customers all over North America for the past 20 years. Our company’s distribution abilities are unique as we source from all the major tire and wheel manufacturers in the United States and many major foreign manufacturers. We provide wheels, tires, assemblies, hubs and spindles to many OEMs in North America. We augment large distribution with our own wheel manufacturing and mounting facility in California and utilize various assembly locations throughout North America. This allows us to provide superior pricing and the flexibility to customize logistics to best suit our customers’ needs. WSD has been serving customers all over North America for the past 20 years. Our company’s distribution abilities are unique as we source from all the major tire and wheel manufacturers in the United States.